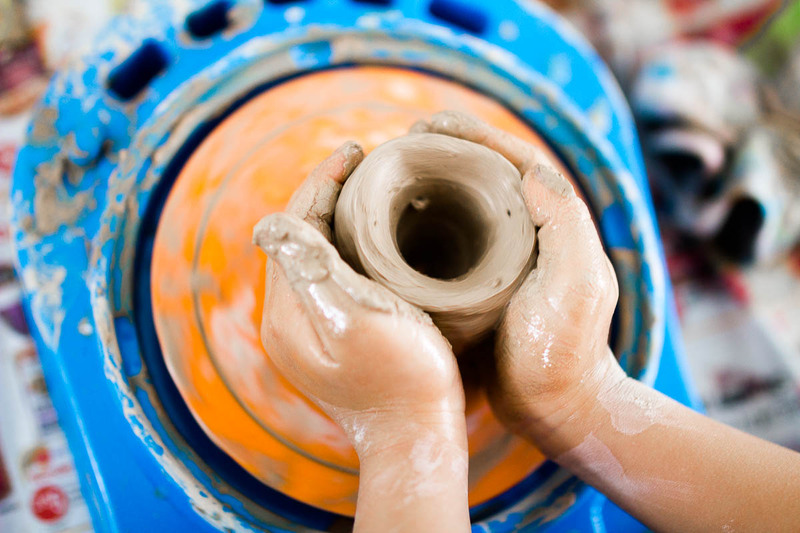 If you go to any pottery classes, you will witness how much concentration it requires. This is fantastic for captivating a child’s attention, even adults have to really try to keep their mind focused! The atmosphere is often peaceful and calm as people are so busy with their works of art. It really engages people and helps to free the imagination as your creativity runs away with you as you create your masterpiece. Once the clay has been set, or even if you attend a class where the pots are ready made to paint then you can still practise your painting skills. This will be really useful for children who are still at school and attending art lessons as it will help them to do better in their lessons as they have had more practice! 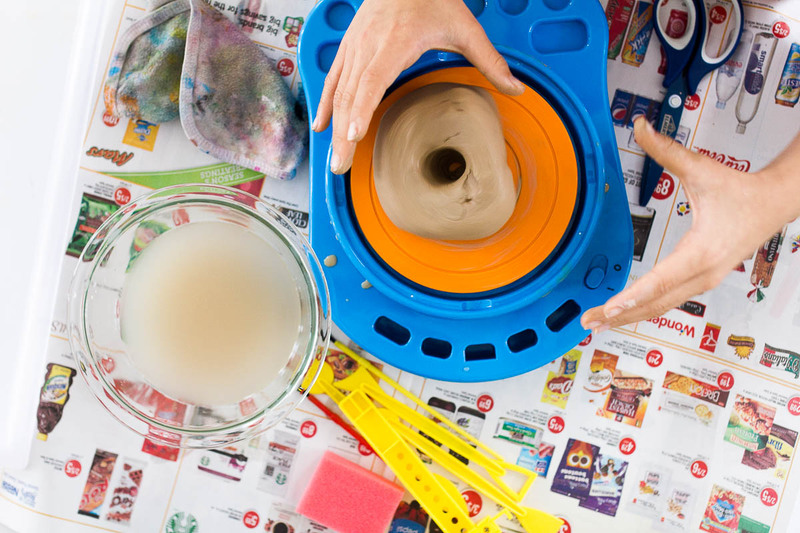 Even if members of your family are not very confident painters, you can still stencil shapes and patterns onto the pottery, and this will make painting a lot easier for you. There is no real way of grading or awarding merit in a pottery class as every piece is too individual and there is no fair way of judging each one. 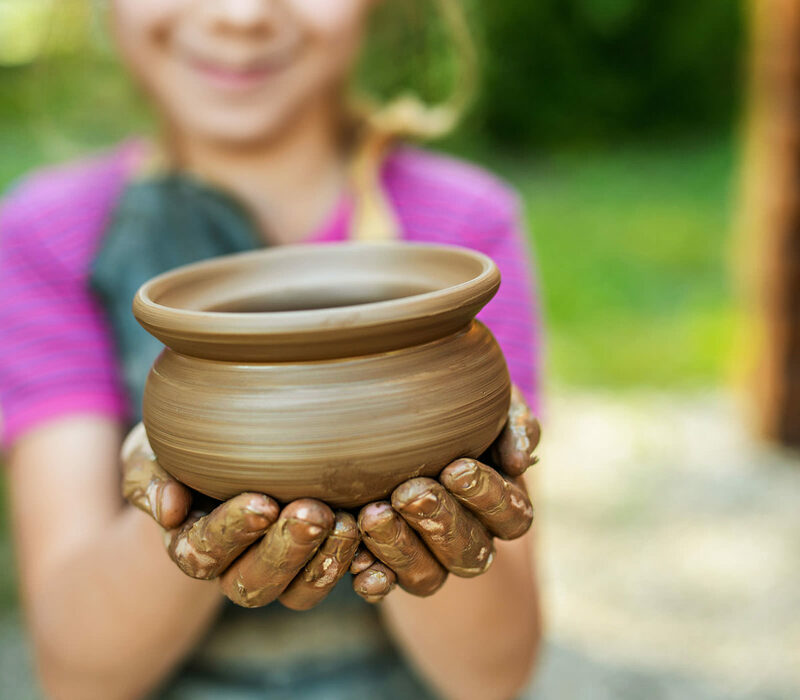 In addition to this, everyone is responsible for their own pots and therefore when potters are met with an issue such as, their clay is drying out, meaning that the mix needs more water adding to it; both children or adults have to resolve the situation for themselves. Identifying the problem and finding a solution is a key lesson to learn in life and will massively help when people are met with other problems in the future. It is always a pleasure to see a child (or anyone!) be proud of what they have created; even if the final product isn’t the most perfect version, it is still very rewarding to see as a parent. The fact that the child has complete control over their own creation means that all the work that they have put in has resulted in their own wonderful creation. This can be really effective for boosting their self- esteem and making them more confident in what they do. As well as this, the activity is just about having fun! Children love to have fun and being able to create something whilst enjoying the process too is a great big bonus!